Adventurous Lisvane Cricket Club exchanged wintry Wales for the baking heat of the Equator for their ambitious late February tour. 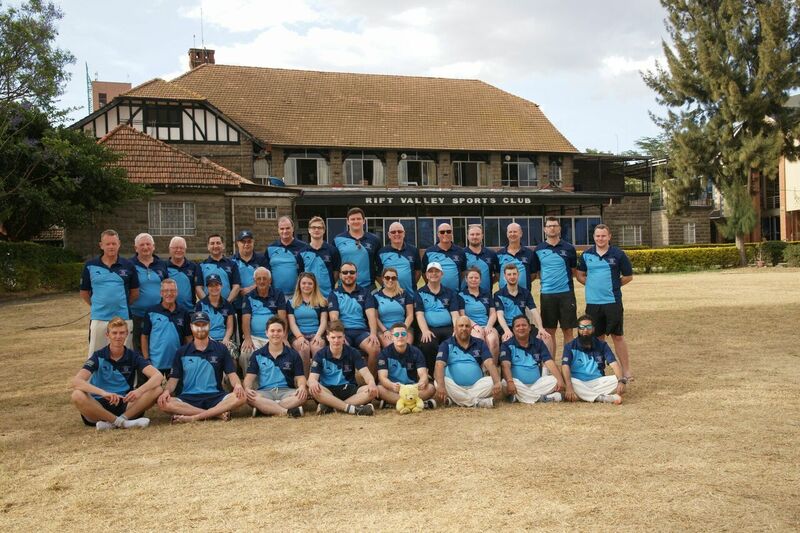 In a 15,000 mile sporting odyssey to Kenya they not only competed stoutly in their matches but went on safari to the world-famous Masai Mara high altitude plains and descended to sea level for deep sea fishing in the Indian Ocean. 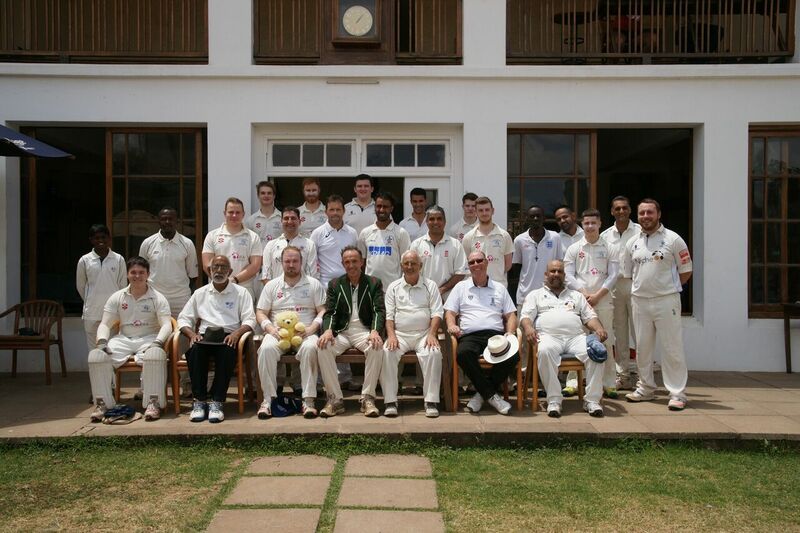 Thirty one players, family members and friends made the 11-day trip to the former British colony which has now emerged as one of the major economic forces in East Africa. It was the third tour of the country in 15 years organised by Peter Allen- this time ably aided by Peter Curry. The bulk of the party flew with the excellent Emirates Airline from Birmingham to Dubai and then onto a connecting flight to Nairobi- total time in the air was more than 12 hours. It was the beginning of a hectic schedule criss-crossing the vast landscape by bus, train and plane, taking in the marvellous sights of a fascinating country. The group was based at the Nairobi Club, an oasis of calm in the sprawling, bustling capital and still redolent of its colonial past. All five matches ended in defeat but Lisvane CC gave a good account of themselves and were always in with a chance of victory and there were several sterling performances. Nye Brown smashed a cavalier 74 against Mombasa Sports Club in the suffocating heat of the sea level pitch while Ali Waldron, Rob Williams and James Smith also stacked up big scores. Ali’s 63 against Rift Valley Sports Club was his first innings since tearing his Achilles tendon early last summer causing him to miss the rest of the season. But apart from the cricket there was the sheer wonderment at what the country has to offer in terms of tourist potential. The drive from Nairobi to the city of Nakuru for the Rift Valley match afforded the party spectacular views of the Valley, the immense geological phenomenon which slashes its way 3,700 miles from Lebanon to Mozambique. From Nakuru the tourists headed for the Masai Mara and the party was able to witness open-mouthed the teeming wildlife they had only seen previously on TV documentaries. The road trip to the Mara was not without incident with the drivers of the 4×4 mini vans taking a 25-mile short cut over a bumpy, rutted track which has the party hanging on for dear life. But it was worth it to stay in the luxurious Fig Tree encampment and venture onto the Mara on three two-hour safaris where every type of animal was spotted- apart from the elusive leopard. There was even a lion kill of a zebra (but not for the faint-hearted). After two nights in the Mara the tourists endured a frantic 15-hour dash by road and train to Mombasa on the Indian Ocean. Then it was time to rest and relax in the idyllic setting of a five-star beach front hotel. Two groups went out deep sea fishing 12 miles off shore in the Indian Ocean, one for six hours, the other for four. The boats were fully equipped and bristling with rods just waiting to hook a catch. But the fish that day were uncooperative with one boat failing to land as much as a tiddler while Harry Powell, at 16 the youngest on tour, snagged the only fish of the day on the other boat, a 6lb bream-type dorada. The party then flew back to Nairobi for the final matches before the flights back to Britain, pretty exhausted but storing wonderful memories to last a lifetime. Lisvane run 5 adult teams, and junior teams from age 5 to 18. Adult training is held 6pm on Wednesdays and Juniors 6pm on Fridays. Any prospective new members are welcome to attend.